The Hung Hing Boys make a quick return to Hong Kong screens but one of them is stuck in Taiwan. This means we’ll take a look at Andrew Lau’s Young And Dangerous 2. 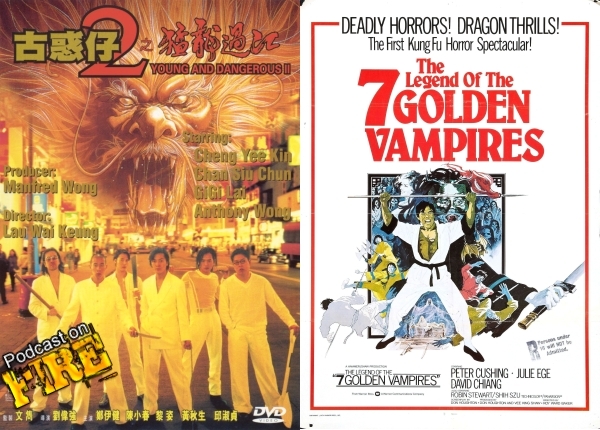 Also Hammer Films and Shaw Brothers get to merge their take on depicting vampire battles the Western and Eastern way in The Legend Of The 7 Golden Vampires from 1974. With Kenny B and Paul Fox of the East Screen West Screen podcast. Ken’s note: The show was recorded before the blu ray announcement for The Legend Of The 7 Golden Vampires. Our wish came true. An unofficial Alan Tam Crapping Hour George Lam Defaming Sessions Team Tam Not Team Tam Lam Or Lame-show. With Kenny B and Phil G.
It’s the start of the adventures of the young, mostly impossibly handsome triad punks and their journey towards rising in the ranks of the Hung Hing triad society and that comes in the form of Young And Dangerous from 1996. 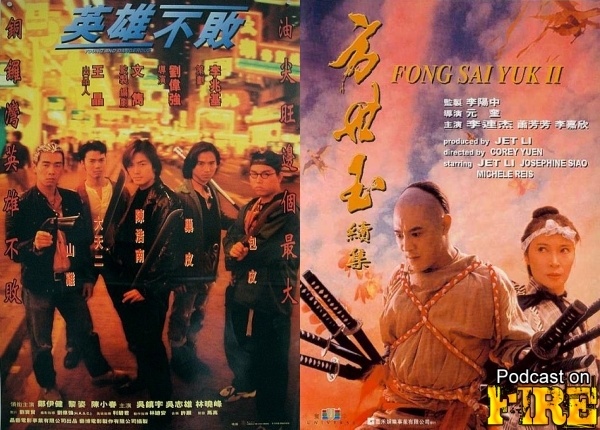 We also take a look at the follow up to the Jet Li vehicle Fong Sai Yuk that comes in the form of Fong Sai Yuk II. With Kenny B and Paul Fox of the East Screen West Screen podcast. 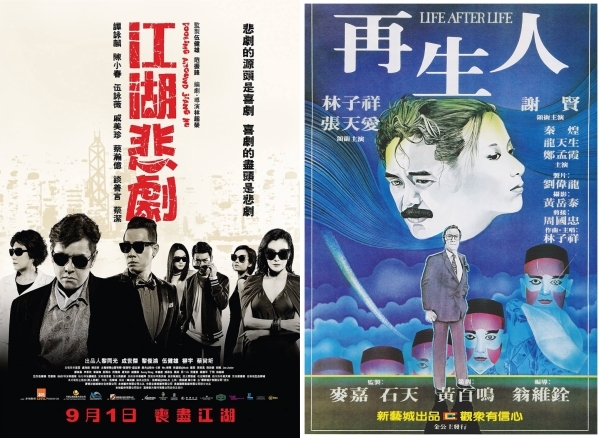 This episode we’re looking at recent/somewhat recent efforts from giant innovators of Hong Kong action cinema… now in their elder years. 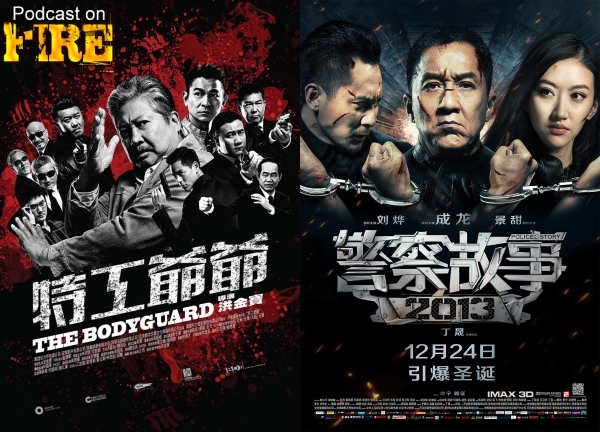 Sammo Hung returns to the directing chair for the first time in nearly 20 years to divide his time between drama and action in The Bodyguard and Jackie Chan extends the Police Story film series in Police Story 2013. With Kenny B and Eastern Film Fans head honcho Phil G.
Stoo and Andy step out from behind the kung fu movies screen to tackle some triads! 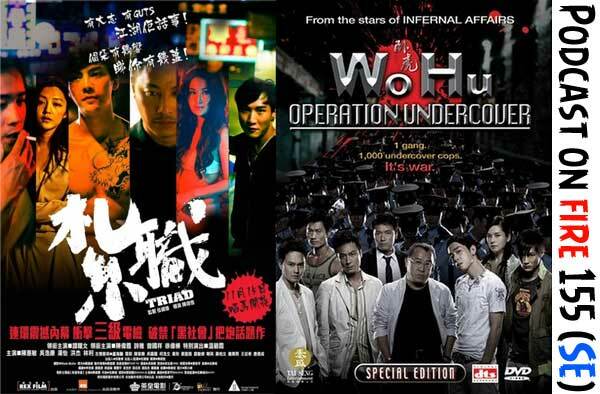 Well, their movies at least so up for discussion is Wo Hu (2006) and Triad (2012). We also introduce THE SCOTTISH PODCAST ON FIRE: ASIAN MOVIE CHART! I’m spinning the podcast in a different direction for episode 141! Kevin Smith always encourages people to sit down with people that they find interesting and record a podcast. So I dialed up my best man Andy Walker and our discussion spirals out of control as a consequence! Hear our tangents on George Lucas, Scooby Doo, wresting, Fred Willard, spoilers of Dark Knight Rises (don’t worry, I’ve reversed the audio) and more. If you fear the lack of Asian cinema discussion, don’t worry. We discuss several Jet Li movies ranging from Fearless (a discussion that you won’t hear anywhere else) to Flying Swords Of Dragon Gate (in 3-DEE! ), the upcoming remake of Young and Dangerous and brief chatters on Triad and Thieves (what DO you call Korean triads? ).